I remember when my first child turned one year old. I looked at the precious and precocious baby and wondered if all the years of his life would fly by at the same speed. Of course, they did not — they sped up. They charged by with an insistence that told my momma heart there was nothing I could do but jump on board and enjoy this while it lasted. Each child was the same, just faster. Now I have only my last child at home. I am not sure what happened to the thirty years since my first. I feel similarly about writing my book. In many ways, getting that book out of me was like birthing a baby. It grew and developed inside of me and then I labored (and labored, and labored) to get it from my insides to my outsides. I remember clearly when I finally worked up enough boldness just to say OUT LOUD that I was writing a book. That took courage. After all, who was I to write a book? I was and am a messy, inconsistent, good-intentioned, bad-follow-through, tired girl. Did I have enough victory to write from? No, I did not. But, I had seen Jesus work over and over. I knew to my toes that His commands to pray were vital, and the power behind His work released through our prayers was awesome. In the middle of my mess, I experienced His life-changing truth through the discipline of prayer. I had to share what I had learned. So, I worked and worked and finally published it. Now I turn around, and suddenly my book baby is one year old! Do you bake a book a cake? Give it presents? That seems silly, so instead I am doing what writers do: I am writing about it. Below are two categories of lessons learned from the writing. First I am listing what I learned about prayer and second, I list lesson from writing and self-publishing. Writing and speaking about prayer is not prayer. You might be thinking: Well, duh. Of course, it isn’t. And I agree with you. This point is obvious. But, the reality of living the truth is often murkier than the written word. When I write about prayer, it almost feels like I’ve prayed. It is like the generation of video game players, who sit in their living rooms, fighting virtual wars and conquering animated enemies. After hours of this, they feel accomplishment. Their body releases happy chemicals (the same ones as if they had an actual victory) and they can feel as satisfied as if they did something real. I can sense the satisfaction of prayer simply by telling others about it. BUT, I haven’t prayed! Telling others to pray for their kids doesn’t mean my own are covered. I MUST PRAY. There is a lot more to say. I submitted my manuscript last summer and a week later found scripture I had not included that NEEDED to be in there. I would wake up at night and realize I hadn’t talked about ________. I could fill in that blank with twenty different subjects. But, if I waited to feel done with the subject of prayer I never would have finished the book. Leonardo da Vinci said, “Art is never completed. Only abandoned.” I now know what 'ol Leo was talking about. Prayer is a deep mine of precious gems that has no end. I hope to write and speak about prayer all the days I have breath. Instead of being disappointed about what I DIDN’T put in my book, I need to just keep at it. Write more blog posts. Pen another manuscript. Speak to parents about the vital prayer ministry they can have in their kids’ lives. There is a lot more to learn. I have been collecting scripture about prayer for many years. And yet, I am STILL finding more. The abundance of teaching in the Bible about prayer emphasizes its importance. In comparison to how much there is to learn, I am a novice. I will keep learning, keep applying, and keep praying. But I will never reach the end. Writing a book on prayer did not make me an expert. So, I keep studying the Word’s teaching on prayer and then applying that into action. Many saints who have bent their knees and bowed their hearts have also written book after book. I need to study their insights. I must never stop learning about prayer. I am not a great finisher. I have way more ideas than products in hand. I plan on doing LOTS of things, but most of those remain dreams in my head. So, this whole finishing a book deal was tough! If you want to write a book, then I encourage you to write it. Do it. Just know it will take five times as long and be ten times as difficult as you imagine. That sounds a bit trite, but I want to state this fact plainly. Writing is hard, as is every other step of the self-publishing game. I would a fool if I tried to do it in my own strength. If I write a book on prayer, but don’t bathe my efforts in prayer and submit every word to the Lord, then I am working on a puff of smoke with no value. Every part of writing this book, or any book I write in the future, needs the full covering and empowering of Jesus. If I don’t give up, I can finish it. Once again, this ain’t rocket science. But that doesn’t make it easy. This point applies to many subjects in my life, not just writing a book. In order to have product in hand, you can’t stop until it is done. However, even I, the Great Procrastinator, can complete something if I just don’t stop. AND if I keep asking Jesus for help. Keep writing. Don’t stop. Ask Jesus for assistance. Until it is done. I am the writer AND the marketer. Ugh. I hate this part. Wouldn’t it be great to put your work out to the world and the right people would be magnetically drawn to it? I think that would be great. But that is not how it works. I have to tell people about the book, market it, put it out on social media, urge people to buy it, … All this feels like tooting my own horn, which I was raised to understand is rude and prideful. Do you see the conflict? I must do it again. I think I am addicted. I can’t help myself- I NEED to write more. I am 55, and having just begun in earnest, stories and words are backed up in my head. I have more non-fiction I am working on, but I also have stories that demand to be told. To stop writing would be like putting a part of me to death. So, I will keep pounding out the words on my keyboard. I recently published a second book, a devotional to assist parents pray for their daughters. Please check out the link below! (That is my half-hearted attempt at marketing.) I just began another devotional about praying for sons which will hopefully be out at the beginning of the year. I released a new book trailer for Unceasing. I had the privilege of working with a talented, young videographer named Reagan Green, who took my ideas and brought them to life. If you have any film needs, I highly recommend him. Below are links for my books. 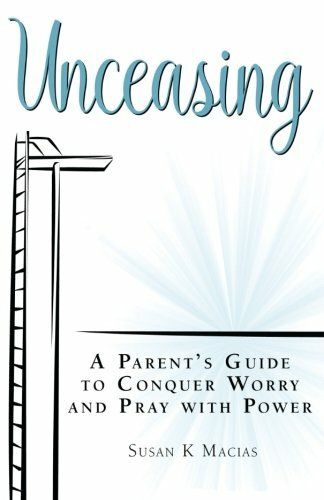 First is my strapping one-year-old book, Unceasing: A Parent’s Guide To Conquer Worry And Pray With Power. 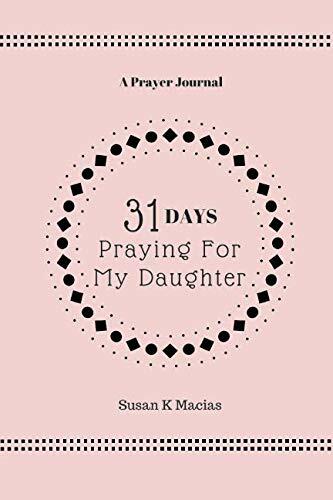 Next is my newling infant, the two-month-old book, 31 Days: Praying For My Daughter. Both the pictures below are affiliate links to Amazon, which means if you click from here Amazon gives me a little more for recommending my own book. Cool. DON’T STOP until it is done. What project has sat on your heart for years, yearning to be completed? Share it below. I will pray with you that Jesus will give you the strength and stubbornness to finish it.